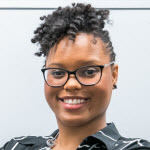 Shayna Atkins is a product development expert, lean-agile practitioner, and founder that has managed and coached multi-million dollar IT transformations for nearly 8 years. She utilizes process methodology, information technology, strategy planning, and business intelligence to deliver high quality product in IoT, Digital, and software across multiple industries. Her strengths include Design Thinking, Agile Portfolio Management, Product Management, Agile Delivery, and Lean–Agile Transformation. Her product management and training company, AtkCo. delivers Agile training to fortune 500 companies across the United States and Canada, while providing scholarship training and staffing opportunities for diverse professionals in underserved communities. AtkCO is a graduate of the WiSTEM accelerator at 1871, recipient of the Young Challenger award for 7th Annual Global Social Business Summit in Berlin, Germany, nominated for the Chicago Innovation Up & Comer Award, and BMO Harris Innovation Challenge. In addition to her passion for product innovation, Shayna runs Queens Brunch , a cross-functional community that aims to train, connect, and empower business women. Her personal mission is to drive innovation through the workforce and professional development amidst disruption and leave a seat at the table for women in technology.